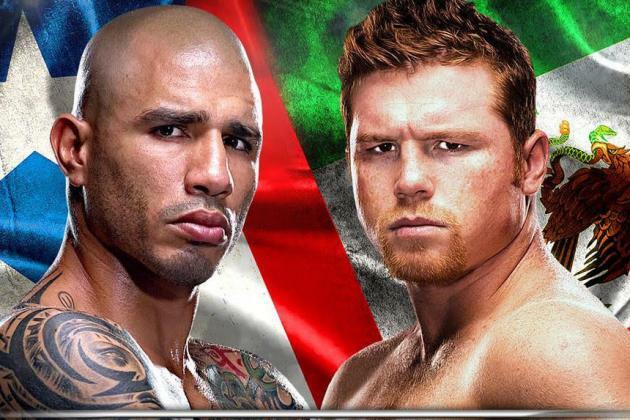 Home > Boxing > FIGHT PREVIEW: Cotto v Alvarez promises high octane ring action! The middleweight world title fight between Miguel Cotto (40-4, 33 KOs) and Saul “Canelo,” Alvarez (45-1-1, 32 KOs) on Saturday night at the Mandalay Bay, Las Vegas has been tarnished in recent days by issues relating to one of boxing’s world governing bodies. Cotto refused to pay $300,000 in sanctioning fees to the World Boxing Council (WBC) in order to keep his middleweight title. Furthermore he is refusing to pay $800,000 in a step-aside fee to Gennady Golovkin who had promised not to enforce his status as mandatory challenger for a fee, so that Cotto could fight Alvarez. The WBC have since stripped Cotto of the title, but Alvarez can still win the iconic emerald green belt if he beats Cotto. He will then have to begin negotiations with Golovkin within fifteen days or risk being stripped of the title and it passing to Golovkin. Even if Alvarez defeats Cotto on Saturday it remains to be seen if his promoters Golden Boy Promotions will enter into negotiations for a unification bout. The undefeated Golovkin would be considered a high risk opponent for Alvarez and as he only drew 150,000 in pay per view sales for his recent unification bout with David Lemiuex it seems that he is not worth the financial risk either. It’s hard to decide whether the WBC is doing something good for a change by ensuring a unification bout or whether their sanctioning fees are so extortionate that they are forcing fighters to abandon world titles. If nothing else it highlights the confusing rules and regulations surrounding world title fights, something the average boxing fan may have given up trying to understand long ago. The fans attention would be better focused on the fight itself, which re-ignites one of the great rivalries in boxing; Mexico v Puerto Rico. There have been a number of classic battles between fighters from both these nations and Cotto v Alvarez promises to continue this tradition. Having won his first world title at light welterweight Cotto became the first Puerto Rican fighter to win world titles in four divisions when he defeated Sergio Martinez in June 2014 for the WBC and linear world middleweight titles. Cotto 35, is now considered a ring veteran having amassed a record of 19-4, (16 KOs) in world title fights, including wins over Zab Judah, Paulie Malignaggi, Shane Mosley and Ricardo Mayorga. Cotto’s four losses came at the hands of Antonio Margarito, Manny Pacquiao, Floyd Mayweather Jr and Austin Trout. Margarito stopped Cotto in the eleventh round of a welterweight world title fight in 2008, it was a brutal loss but with the subsequent discovery of Margarito cheating, by using a plaster of paris substance on hand wraps in a fight with Shane Mosley in 2009 it could give rise to speculation that foul play may have been involved in the Cotto fight. In 2011, Cotto avenged that knockout defeat against Margarito with his own ninth round knockout victory. In 2010 Cotto was stopped in the final round of his fight with Manny Pacquiao, who landed twice as many punches as Cotto did and dropped the Puerto Rican twice. To date Cotto remains the last stoppage victory on Pacquiao’s record. The Filipino has never tested positive for a performance enhancing drug but his physhic and ring results have been scrutinised by some in the boxing fraternity including trainer Teddy Atlas and former world champion Paulie Malignaggi. If one subscribes to these beliefs then Cotto’s record reads as forty wins with two questionable knockout losses and two close decision losses, one of which was against one of the best fighters of his generation Floyd Mayweather Jr, in which Cotto performed well and remained competitive against Mayweather. In contrast, Alvarez’s record reads well but he is ten years younger and physically bigger than Cotto. The flame haired Alvarez is the former unified Super Welterweight champion, with six successful world title defences to his name, four by way of knockout. He also shares four opponents with Cotto. 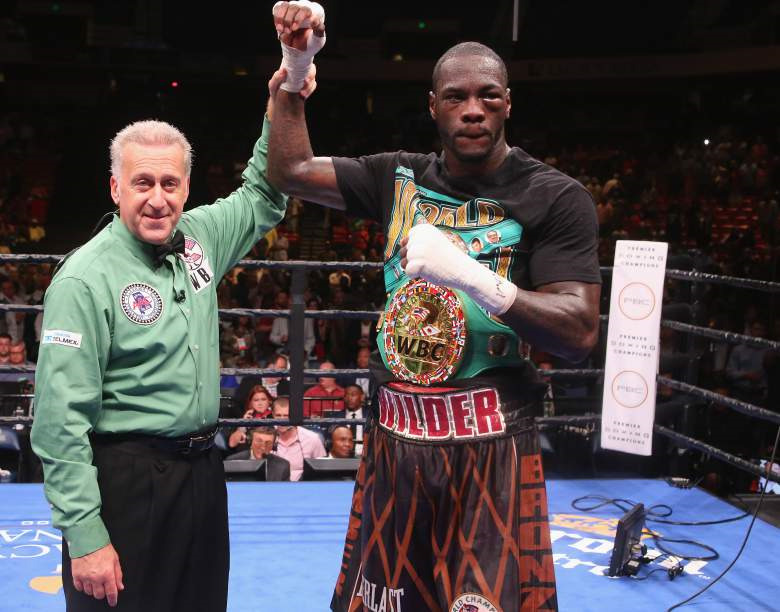 Both fighters have defeated Lovemore N’Dou and Shane Mosley by unanimous point’s decisions. Cotto lost a close decision to Austin Trout, while Alvarez defeated Trout by a unanimous point’s decision. Both fighters lost by unanimous points decision to Floyd Mayweather Jr although arguably Cotto extended Mayweather more with his performance than Alvarez did. Incidentally, early in his career Alvarez fought Miguel Cotto’s brother Jose Miguel Cotto. The then nineteen year old Alvarez was wobbled in the first round by the veteran before dropping Cotto in the second on route to a ninth round stoppage victory. Could it possibly be an omen ahead of this super fight? However things work out this one has the potential to be a fight of the year candidate in no small part to the exciting styles of both fighters. Both fighters come forward and display power, speed and good movement. A fight like this brings to mind the old boxing adage that a good big man will defeat a good small man. Alvarez is younger and physically the bigger man which may make the difference in the championship rounds should this turn into a gruelling affair. A point’s decision or a late stoppage in favour of Alvarez may be considered the most probable result. However where power and speed are a factor it can deliver explosive results so this one is worth tuning into.